I set a new max deadlift for myself on Monday, and then again on Wednesday (200 pounds! ), and also got punched in the gut a lot on Tuesday. And I have indeed discovered new types of soreness. 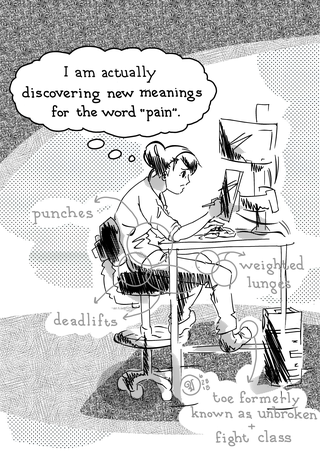 It sounds like a cheesy movie line, "You will discover a new definition of pain, Mr. Bond", but in this case it's actually true.